Venetian Mirror – Venetian Mirror would have no foreign-sounding in our ears. 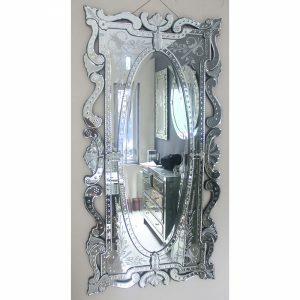 The unique design of the mirror and looked bright when that hang on the wall in the produce of this style mirror. Because all wrapped up by a mirror in the frame makes the space seem brighter. If admiring the beauty of something, surely we should not ignore the origin of such goods. Why is stuff it into a unique, and elegant? Here we don’t want to talk about reserved beauty design but how this mirror there is Indonesia that we would share right here. 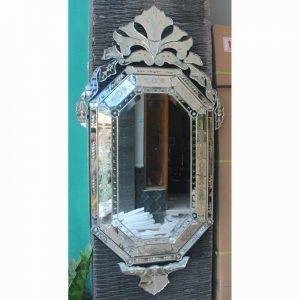 Actually the Venetian mirror not original product from Indonesia, Venetian mirror first in this world comes from a small town in Italy city of Venezuela. 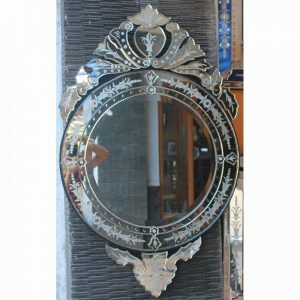 At the time of first not everyone can buy it because in addition to the great price also indeed Venetian mirror is made of typical souvenir or gift for the count given while visiting as a souvenir. During the Empire, the people of Indonesia are experiencing a very long colonial rule. 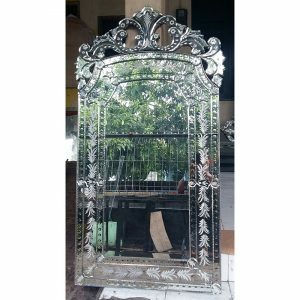 Venetian mirror exists in Indonesia is also given by the Dutch as a gift for the King of Java. The King gave to the daughter to make the ornaments in his bedroom as a mirror when adorning them. One of the kingdoms in Java is the Kraton Surakarta hadinigrat. One of the glass that still exists today is the large rectangular mirror Venetian which hangs a pair of Kraton Surakarta in the main room. With the development of the time Venetian mirror style in great demand from all circles either medium or count in the world. 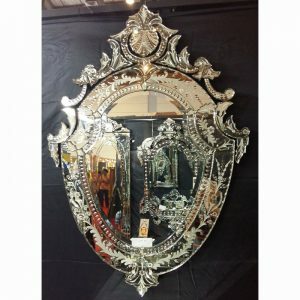 Due to the many requests that many countries are starting to make a Venetian mirror, such as India. 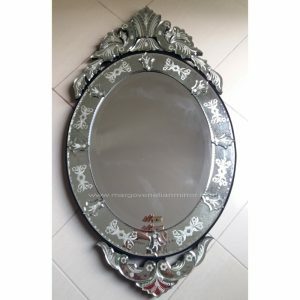 Venetian mirror India had a distinctive style in the corners on design. 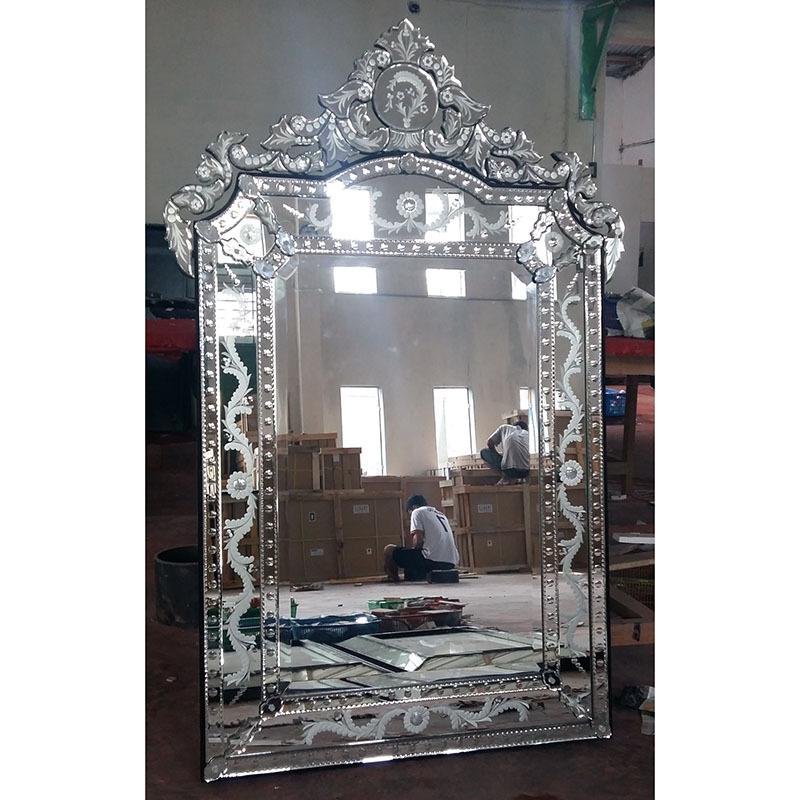 The sharp corner of the bevel on the edge and into the part that is so visible makes the Venetian mirror India style looks very classic and antique. 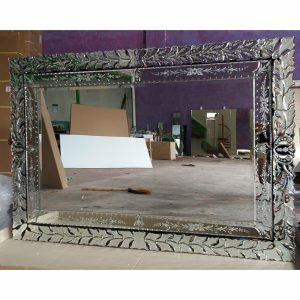 Venetian mirror produced by Margo Glass Gallery company from Indonesia is: unique and luxurious and of course Elegant. Because, All production produced by this factory is by manual or hand made by experts who have been in the mirror for decades. Surely was no doubt for the quality, beauty of design, and time of manufacture. For that reason the Venetian style mirror of Margo Glass Gallery becomes natural or organic look. We have many partners or suppliers for retailers, importers, wholesale markets, interior designers, hotel and apartment mirrors. The advantage of this company is in addition to not having a minimum order, can also help you though only for consultation planning your bathroom wall or bedroom. In order to get the Venetian antique mirror quality, we are assisted by trusted checkers to guard our production and delivery. It is only right if we are believed! Who is Margo Glass Gallery? 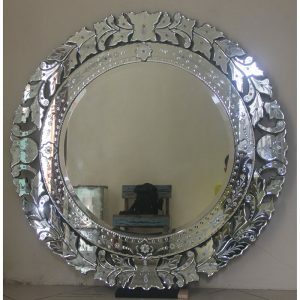 is a manufacturer or supplier of Indonesia and its products are: Oval venetian mirror, rectangular Venetian mirror, octagonal Venetian mirror, Round Venetian Mirror and other mirror art. In addition to the American continent such as Los Angeles, Florida, Canada, Texas, San Francisco we also have exported namely England, London, French, Japan, Singapore, Malaysia, Australia, Germany, Turkey, Dubai and many other countries that bring from us . To smooth our goods to costumer safely and not broken is the hope for us and customer. Therefore, of course we are also assisted by a forwarder or export shipping services that faithfully help and supervise all shipments to the customer safely.Because choosing the right company for the right now is very important and difficult let alone the era of digital like for now. Therefore do not hesitate to contact us if you want more information either about price, size or custom design. We really appreciate if you would like to contact us and can supply Venetian mirror especially to your company. Margo Glass gallery – Can work together for long term is one of our visions. This entry was posted in Articles and tagged oval venetian mirrors, venetian mirror, Venetian mirror manufacture, Venetian mirror rectangular, Venetian mirror round.